The 21st San Francisco Independent Film Festival (SF IndieFest) January 30 - February 14, 2019 at the Roxie Theater and Victoria Theater in San Francisco. 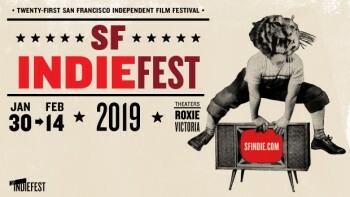 SF IndieFest has announced its complete lineup for the 21st annual San Francisco Independent Film Festival (SF IndieFest) which takes place January 30th through February 14th, 2019. For the 21st year, IndieFest continues its tradition of presenting the freshest new independent films and special programs from around the world to San Francisco audiences. 21 years ago, SF IndieFest founder Jeff Ross launched the festival when he noticed there was no venue in San Francisco presenting new independent films from adventurous filmmakers. From an attendance of 3,000 in the first year to over 11,000 in 2018, the festival has stayed true to its original goal of providing viewers a chance to discover a new filmmaker, share experiences with fellow filmgoers and hear from filmmakers in Q and As. In 2019, the festival will present 45 new feature films and 8 shorts programs, and include popular events: the 16th annual Big Lebowski Party, the 10th annual Anti-Valentine's Day 80s Power Ballad Sing-Along, the 9th Super Bowl: Men in Tights live comedy show, Beetlejuice Bingo and season 7 of the Bad Art Gallery Show. Last edited by Chris Knipp; 02-09-2019 at 11:07 AM. SF Indiefest started today. Some reviews. Weird drama set in Woodstock, New Yori about a girl who seeks to take revenge against a man she believes to have caused her younger sister to commit suicide through cyber-bullying. I was not impressed. The screenplay is full of holes. But of course this is on the trend with #Me Too and all. Slow-building documentary by Schalliol, completed in the course of doctoral studies at the University of Chicago, of the displacement of a poor, black community to make way for an expanded railroad shipping yard. Touching and profound. Seeing this after binge-watching the first two seasons of Donald Glover's hip, brilliant "Atlanta" led to some deep pondering about Black in America. I have not reviewed this yet, but it's an intriguing idea from Japan: a story of the near-future when self-driving vehicles are universal, and a newly hired government prosecutor protests her job by bringing a self-driving car's AI to trial for causing a fatal accident. It's a most interesting premise, but the details aren't quite as absorbing as the starting point. It's detailed and ingenious though. Last edited by Chris Knipp; 01-30-2019 at 10:20 PM. A little noirish tale about a low-level gangster and a mysterious stranger who comes up to him in the bar he owns and uses to launder money and tells him he's slept with his wife. Complications ensue, which are indeed intricate and surprising - this is like an O. Henry-style short story - and the action is dramatic. But the best and most revelatory moments come when the movie is seemingly becalmed and is focused on nothing but a customer and a waitress flirting and chatting in an empty diner. Last edited by Chris Knipp; 01-31-2019 at 12:53 AM. The alliteratively-named Callum Crawford's debut multiple-hyphenate performance (he acts here as writer, director, star and producer) shows a maximum of British sang-froid and drollery in this tale of an unsold young scriptwriter (Crawford himself) who sets out to push events along in the search for a missing girl and use whatever happens as material for a screenplay. Last edited by Chris Knipp; 02-09-2019 at 11:12 AM. Stuart Swezey describes extraordinary events he himself organized in the early Eighties in Los Angeles and the Mojave Desert and on the water in San Pedro where punk and industrial bands and events like Mark Pauline's bold, scary happenings involving robots and explosives were witnessed by an adventurous few. The archival footage is eye-opening and thrilling in tis recreation of a time of unparalleled intimacy between audience and creators that make events today like Lollapalooza or Burning Man, which grew out of Desolation Center, seem mere commercial Disneylands. Thrilling and eye-opening. In this Tribeca debut feature opening in theaters in April, two sisters struggle to survive economically in a North Dakota oil boom town. One has an unexpected pregnancy; the other was arrested for selling prescription drugs illegally that she ran down from the Canadian border. They're forced to return to lawlessness to save a house and protect their futures. Socially conscious but relentlessly unfun. The two actresses, Tessa Thompson, Lily James, are attractive and talented. Last edited by Chris Knipp; 02-09-2019 at 11:16 AM. A Bressonian (Cooper, primarily a writer, is a big admirer of the French auteur) film with a queer sensibility about a youth who decides to blow himself up. 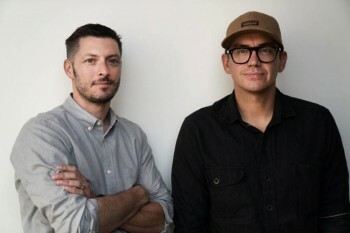 He and his young visual collaborator, Zac Farley, an American he originally met in Paris, are primarily focused on making movies now. An austere film that rewards close attention and repeated viewings. Melora Walters has ninety-nine acting credits, including Magnolia and Boogie Nights, and Paul Thomas Anderson, the creator of those brilliant films, is executive director of this, Walters' debut as a feature director and writer. The film concerns the meltdown, or crisis, or rebirth, it's never quite clear which, of Bob (James LeGros), a highly successful author of "airport" novels who wants to do something more original and personal and does so, with a vengeance. A full-dress story of artistic crisis. And Bob's wife, Helen, is a painter, and she's played by Mira Sorvino. This has been chosen as the closing night film of the SF Indiefest. I didn't quite get the point of it, but you can go to the Roxie on Valentine's Day and decide what you think. Big contrast. No pretension here, only a precise ear, wit, and emotional honesty. 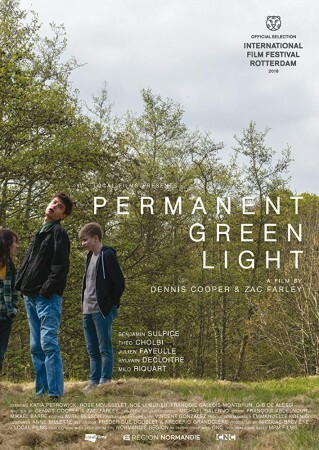 A young couple through high school and most of college, now estranged, reunite for a short camping trip in a Wisconsin park in the summertime. In claustrophobic intimate 4:3 aspect ratio. This quietly devastating little film is the absolute gem of the festival. it's Carol Brandt's third feature and Meredith Johnston's impressive debut as writer and lead actress. It's shown at SXSW, Mill Valley, and Rotterdam, and gotten raves. I wish you could see it tonight at nine at the Roxie (Tues. 5 Feb. 2019) but I have good news: it's now available in VOD on Amazon Prime. Last edited by Chris Knipp; 02-05-2019 at 08:43 PM. A small documentary about a crew of men who come to southern Oregon to fight forest fires. Timely and authentic, it sticks close to the men, explores who they are, and follows the crew as it's sent to California to fight the big one. Boredom, exhaustion, frustration, excitement, fear, and a sense of redemption and self-worth are some of the feelings explored as the men, mostly young, some out of jail, some out of bible school, take on the toughest job they'll ever love and give it their all in 12- or 16-hour days or worse, over two seasons. Last edited by Chris Knipp; 02-09-2019 at 11:17 AM. This documentary about the lives and work of forest fire fighters in south Oregon who wind up fighting the big one in California is is timely and essential, especially for California residents. Last edited by Chris Knipp; 02-09-2019 at 11:25 AM.